In a dramatic – and tragic – Bathurst Super Cheap Autos 1000 meeting last weekend, Allan Simonsen and Richard Lyons were having a great run… until a bizarre piece of misfortune literally got in the way of their Team Betta Electrical Ford Falcon. 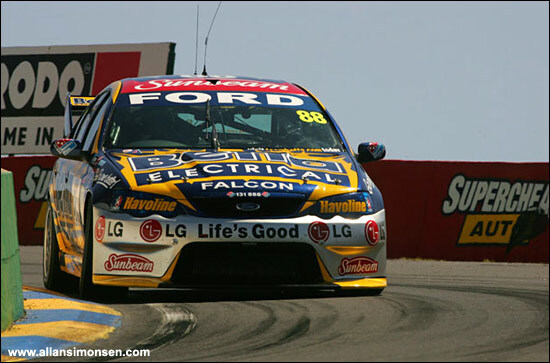 Simonsen and Lyons were sitting comfortably in fourth place when a plastic bag became caught on the front of the #88 racer on lap 130, causing engine temperatures to skyrocket, which in turn forced their Team Betta Electrical Ford Falcon V8 Supercar to pit. Despite the setback, the pair clawed their way back up to finish the 161 lap race in twelfth place. "It was a very disappointing thing to happen,” said the Dane. 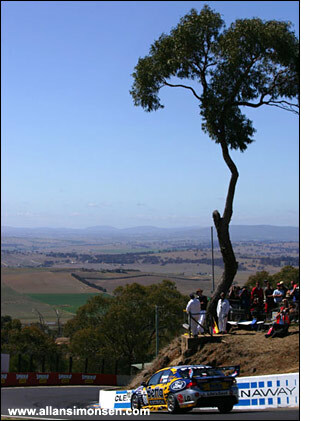 In an ironic twist to the weekend, Allan had picked up the local Saturday newspaper, the Western Advocate, to find an article on the 'Dangers of Debris' at Bathurst with an accompanying photo showing Allan coming along Skyline in car 88 with a plastic bag wafting nearby…. "That's pretty freaky stuff. I wonder what the odds could have been that the featured car would be the victim?" 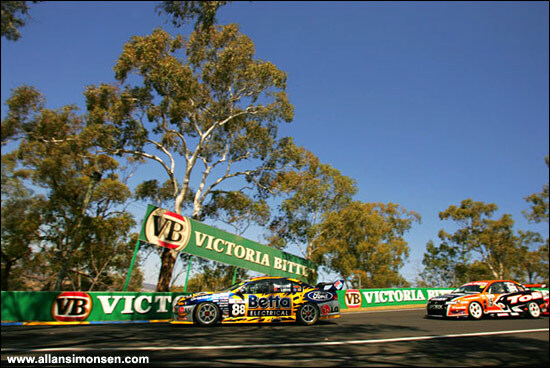 Race honours were taken by Craig Lowndes and Jamie Whincup, in the sister Team Betta Electrical Supercar, only a car length ahead of the Toll HSV pairing of Rick and Todd Kelly. "I am so pleased for Craig, Jamie and the entire team. They are an awesome bunch of people and their level of professionalism has shone through today,” said Allan Simonsen, directly after the race. 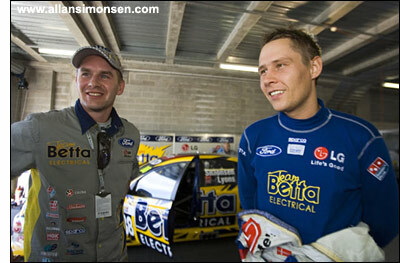 The event was marred by tragedy, with the death of New Zealander Mark Porter, in the Fujitsu V8 race on Friday. Paul Radisich also had a big accident in the main race, and suffered several broken bones.